Services - Creative Benefits Inc.
We provide a holistic experience with our full spectrum of solutions. We understand the challenges today’s employers face and know you’re asked to take on more than ever. 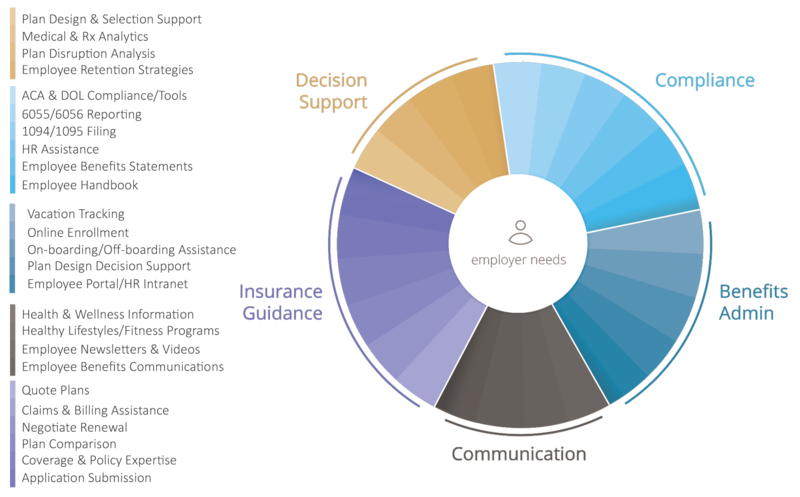 We design an employee benefits program that is aligned to your company’s strategic goals and offer the operational support, from our core competencies, to drive program success.